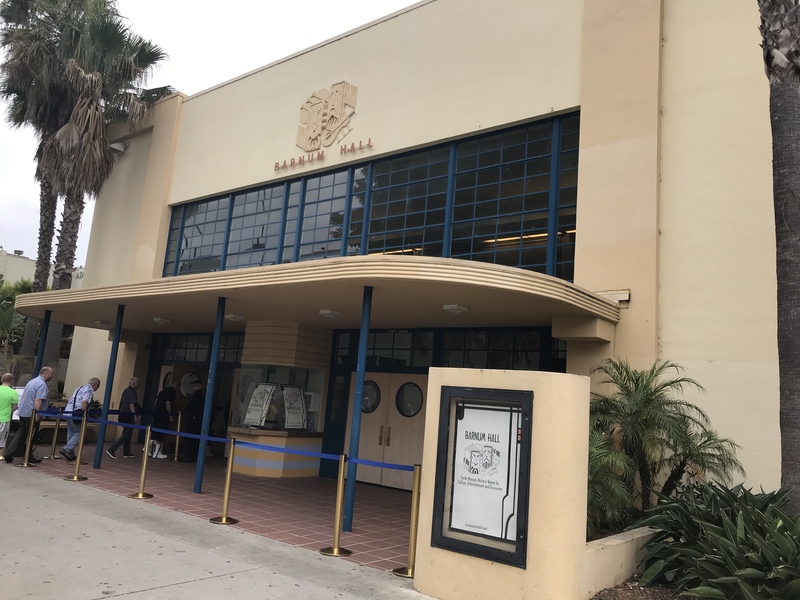 Just arrived at Barnum Hall at Santa Monica high school, where we will see and hear Alex Jones and the Young Theatre Organist finalists. This is a beautiful theater in the Art Deco style. The final performance of the day will be a concert by Richard Hills. Mark Herman and team have spent the past two years getting this organ from 1938 into shape for tonight’s concert. This theater is as attractive as it is massive. I’ve sure we’re in for a musical treat. After a great performance by Simon Gledhill, we just stepped off the bus at Trousdale Castle to be entertained by Pierre Francalanza. Update: WOW! I was unfamiliar with Pierre but now I know he his a must see performer. I liked the way he incorporated multimedia into his performances, including the use of an overhead camera so we could watch as he played. Thanks to the camera I know that he does not ace 16 fingers but I can say he plays as if he did. Well done. Next stop: the hotel and the we have. Another concert at the Pasadena Civic Auditorium tonight. 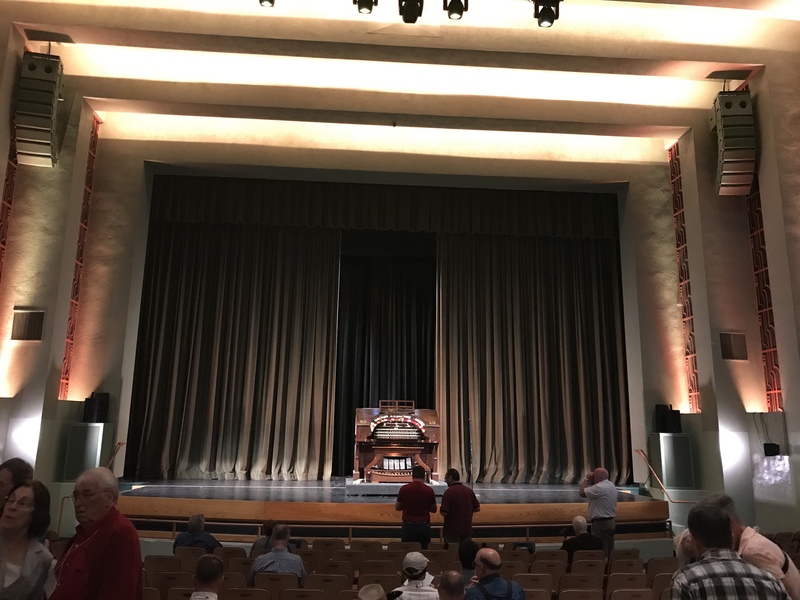 I’ve just arrived at the Plummer Auditorium in Fullerton California for the first organ concert of the day. 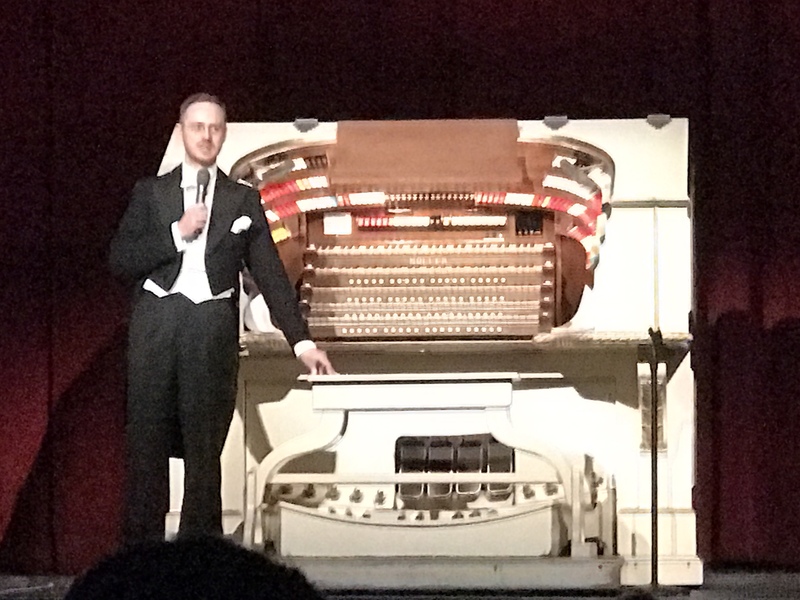 Simon Gledhill will be performing for us on the Mighty Wurlitzer 4/37 Theatre Pope Organ. 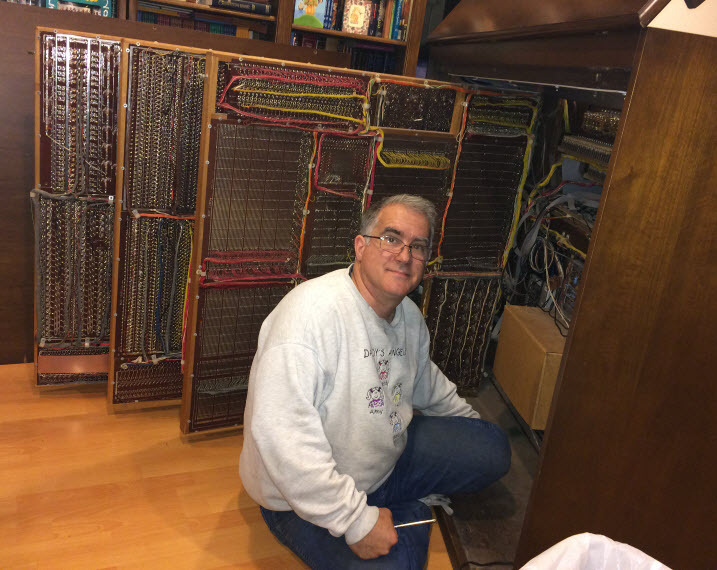 This Organ is 89 years old! 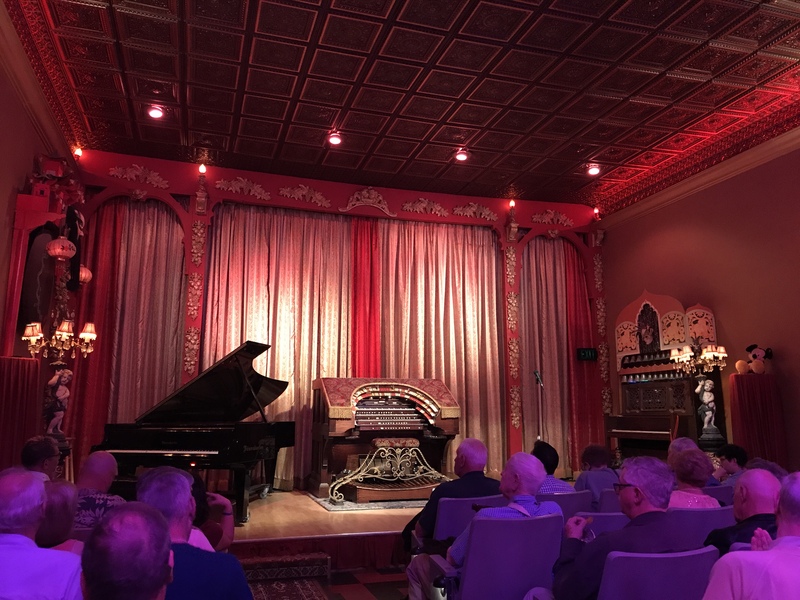 Come see and hear the mighty Theater Organs of Los Angeles! 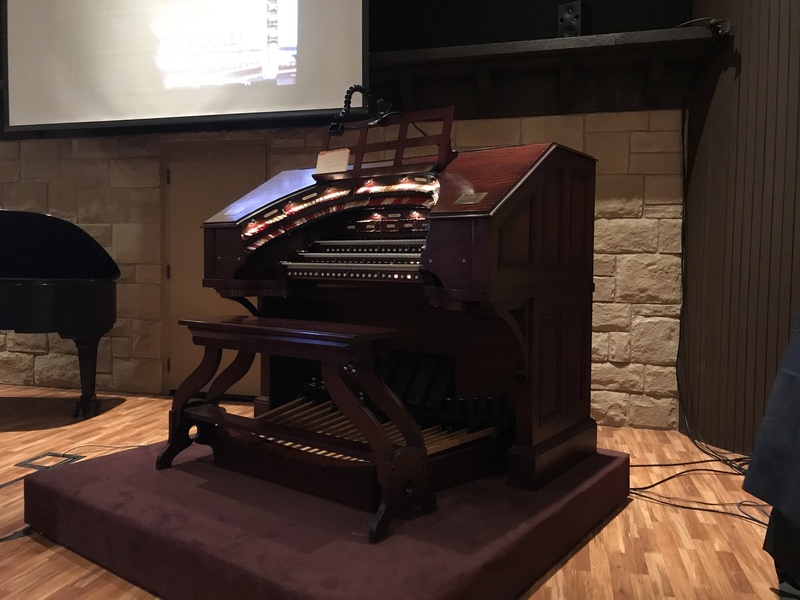 This summer, the American Theatre Organ Society’s Annual Convention will be in Los Angeles. People will travel from around the world to hear some and see some of the spectacular organs we get to enjoy in Southern California. Closing concert at Whittier HS (June 2, 8pm, Free Admission). Tickets available at the door for these events.